Old Reynella Veterinary Clinic offers a Puppy Playschool to all puppies between the ages of eight to sixteen weeks. This is an opportunity for your puppy to socialize in a clean and secure environment with other puppies and people, giving them the best chance to grow up into relaxed and well behaved adult dogs. Our classes are one hour sessions over a four week period, on a Thursday evening from 6:45pm till 7:45pm. We offer smaller class sizes to ensure no puppy misses out, and have a strong focus on correct puppy socialization and reward based training. Puppy Playschool at Old Reynella Veterinary Clinic is an opportunity for you to meet our nursing and veterinary team, and enjoy the fun of Puppy Playschool! Contact the clinic for more information and to book in now! 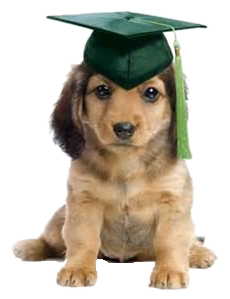 Classes start approximately every 4 weeks so contact the clinic on 8322-4355 to enrol your puppy!